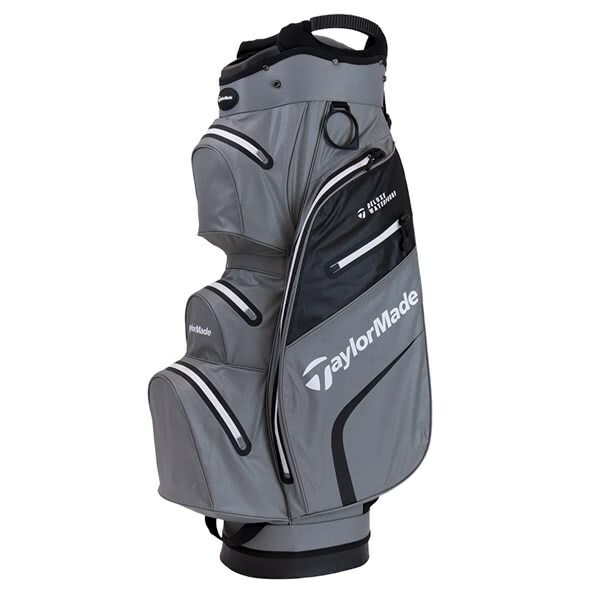 The TaylorMade Deluxe Waterproof Cart Bag has been designed for the die-hard golfer who will play year-round whilst maximising storage and organisation. 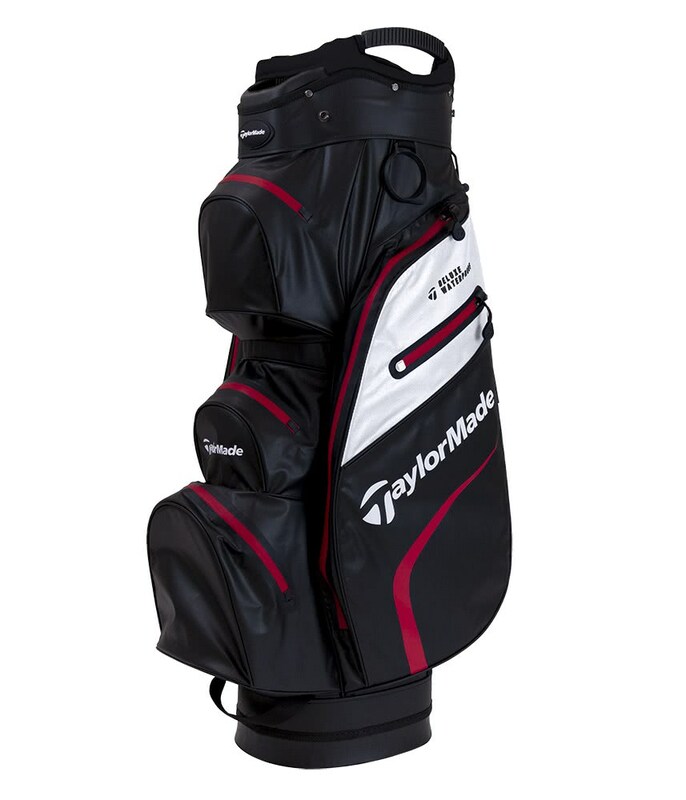 TaylorMade have used a lightweight waterproof fabric with a PSI level of 2500mm to keep the contents of the 7 pockets completely dry in the worst weather. 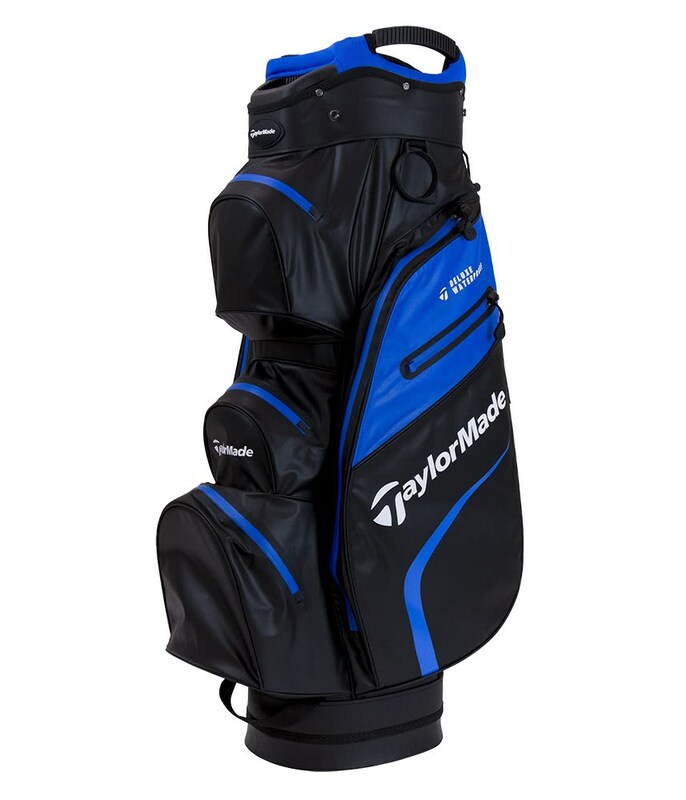 All seven pockets have been strategically positioned to ensure that everything you need is at arms reach. 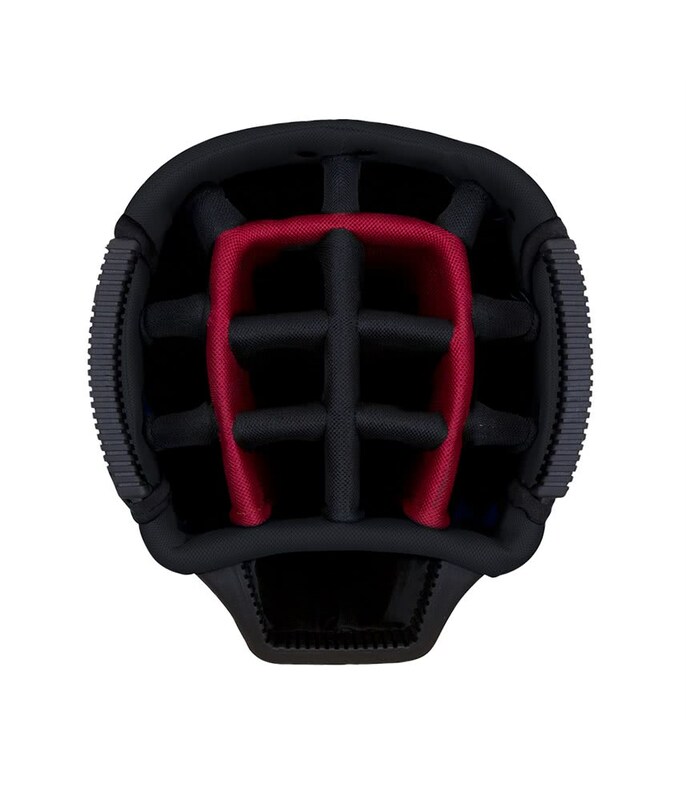 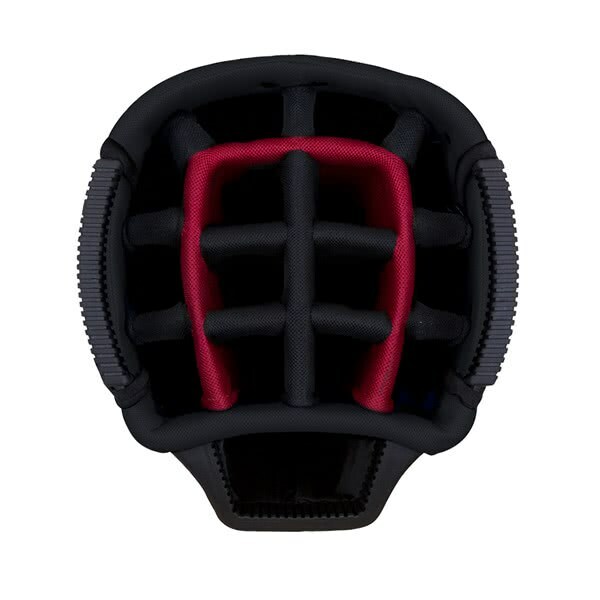 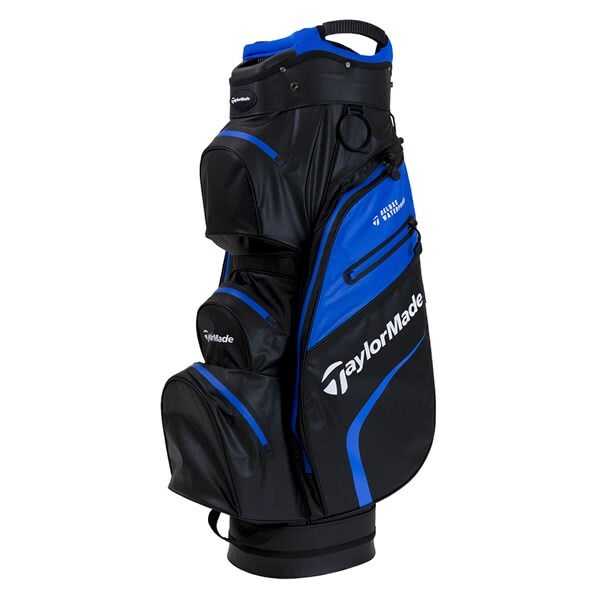 Included in the seven pocket layout are two large apparel pockets, a dedicated rangefinder pocket, a ball pocket, a velour-lined valuables pocket and a couple of smaller accessory pockets. 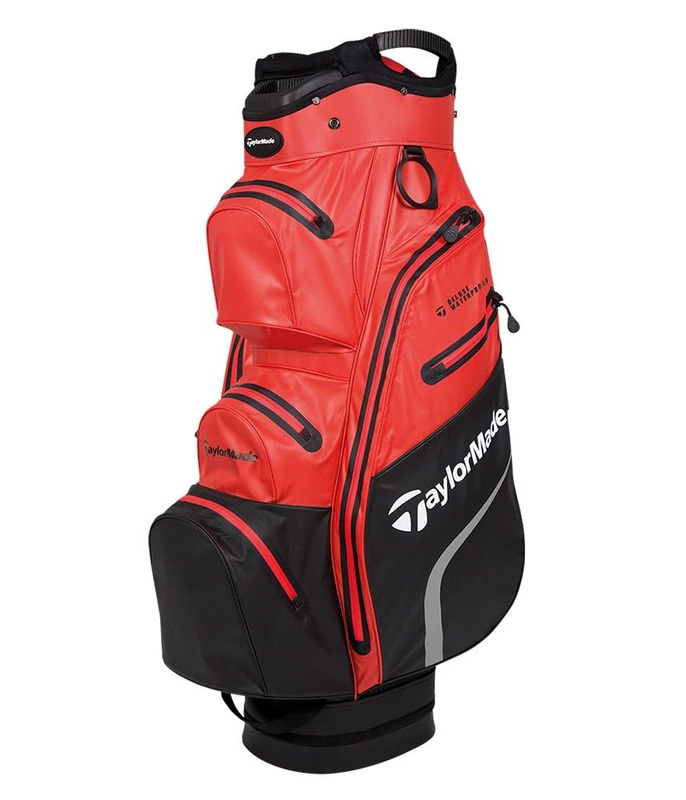 As well as a waterproof fabric the TaylorMade Deluxe Waterproof Cart also features heat sealed zippers and thermo-sealed zippers to keep the rain out. 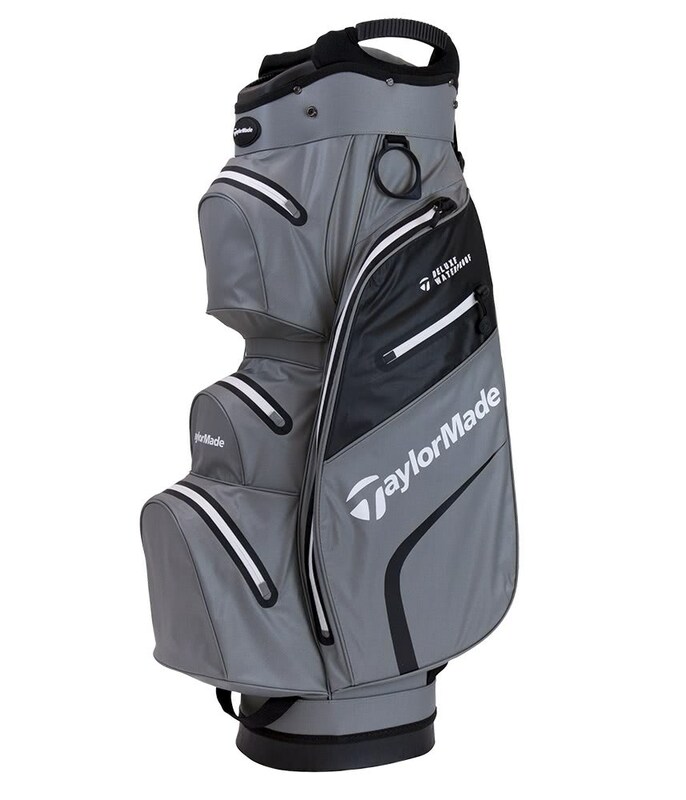 TaylorMade have used a padded 15-way divider top which incorporates a large putter well. 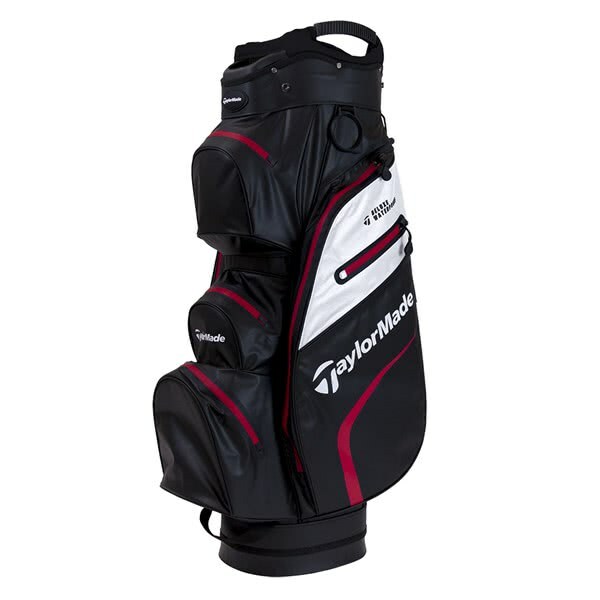 Their a three full length dividers that provide sectional separation that prevents overcrowding at the bottom of the bag. 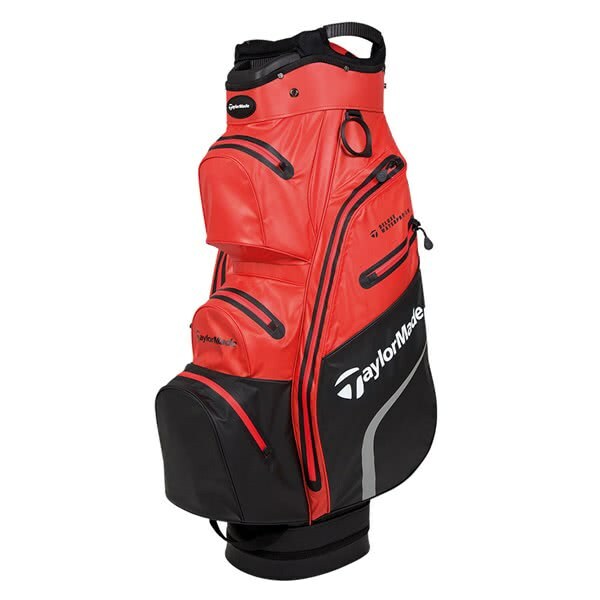 Other features on the TaylorMade Deluxe Cart Bag include two integrated grab handles on the top, a key lock base that will keep the base securely on a trolley and the usual umbrella and glove holders as well as single padded strap.